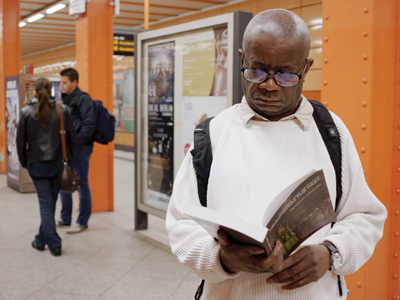 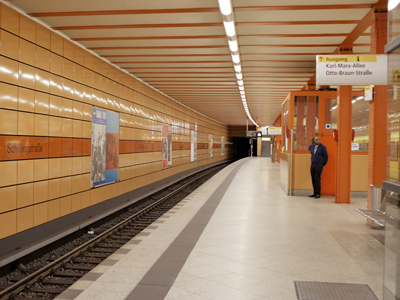 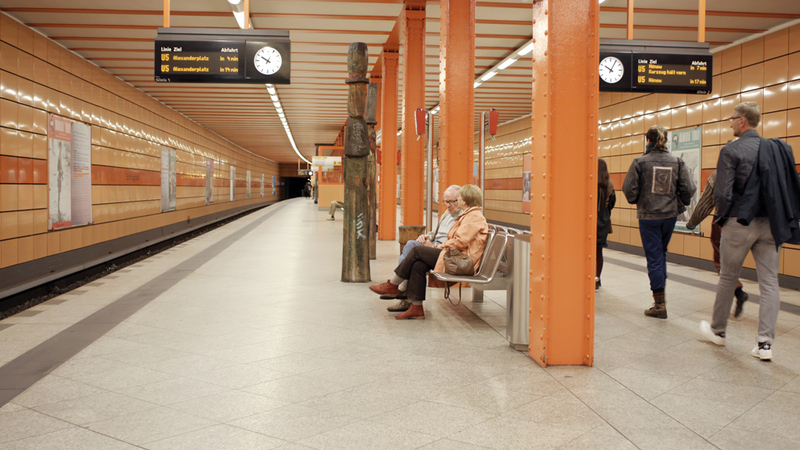 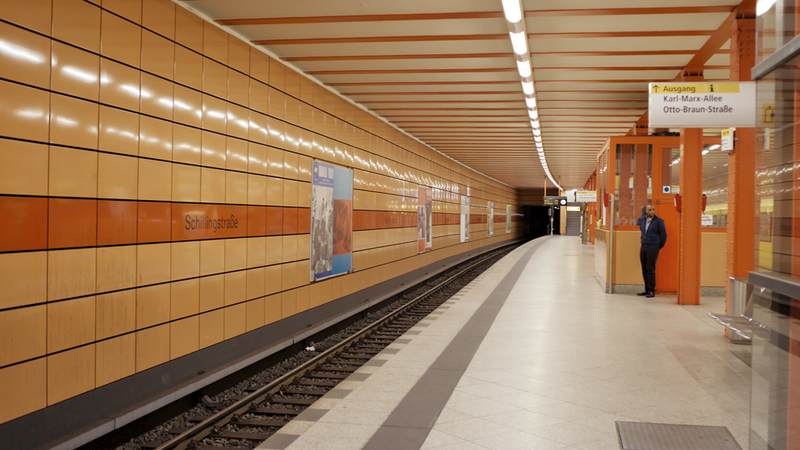 Seven people wait in an underground station below Karl-Marx-Allee in former East Berlin. 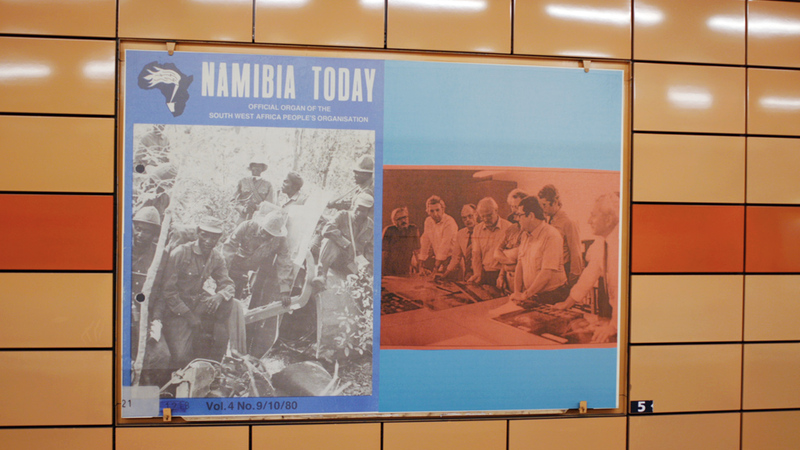 Billboards line the walls, each combining a front page of “Namibia Today” with associative material. 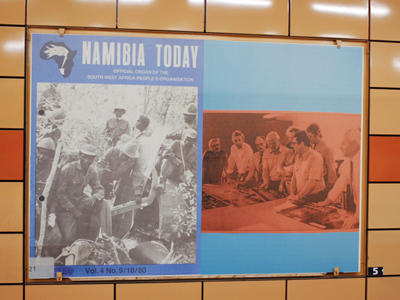 “Namibia Today” was a journal of the Namibian liberation movement, which was printed and distributed by the GDR during times of military confrontation with South Africa. 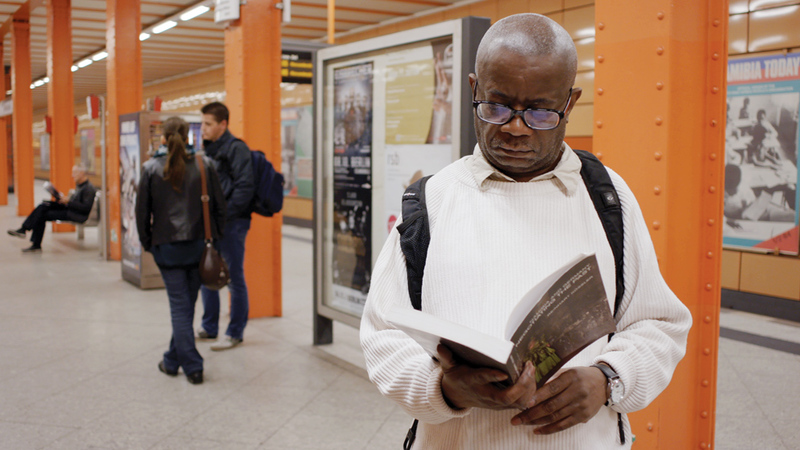 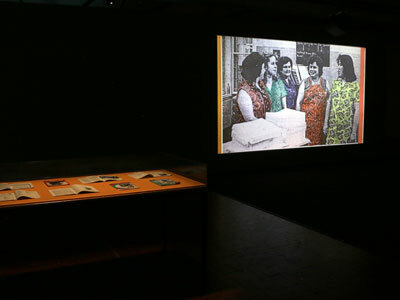 SWAPO’s (South West Africa People’s Organisation) editorial board was forced to operate from exile in Angola, and without the ideologically motivated help of the GDR the mass production of the periodical (1980–1985) would not have been possible. 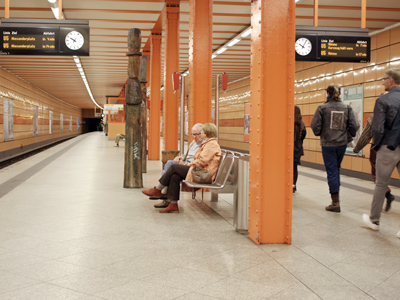 Rushing underground trains pick up the slow moving shot between the billboards and the protagonists, between fragments of image and speech. 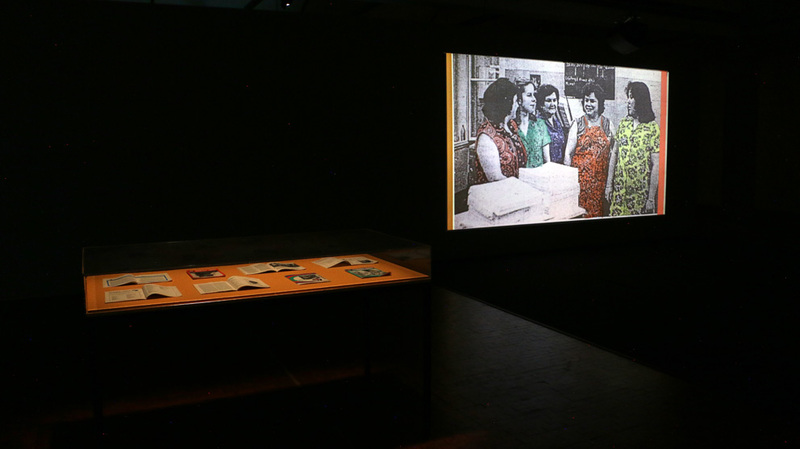 The participants with their memories and diverse ways of storytelling stand still in the movement.